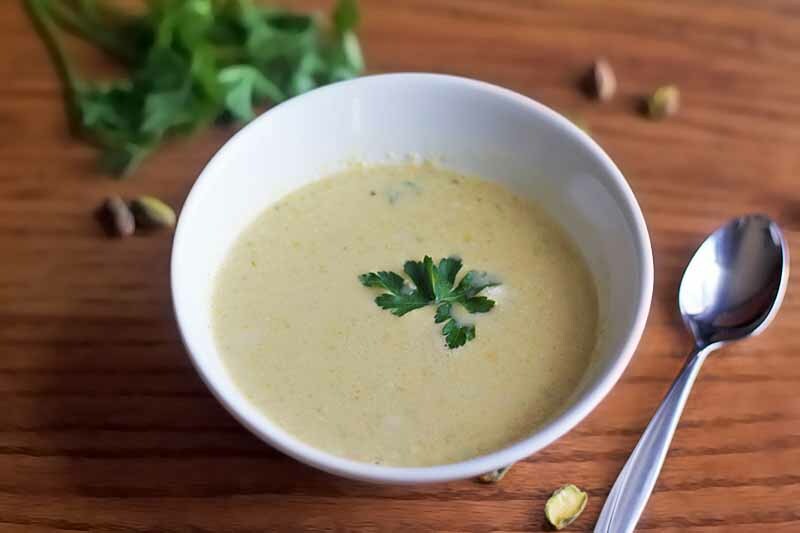 Keep warm this winter with a bowl of homemade cream of pistachio soup. Nutty, creamy, and savory, this soup is the epitome of cozy. Easily made vegan-friendly and garnished with fresh parsley and chopped pistachios, this recipe is perfect for a light dinner or an impressive first course! Read more now on Foodal. 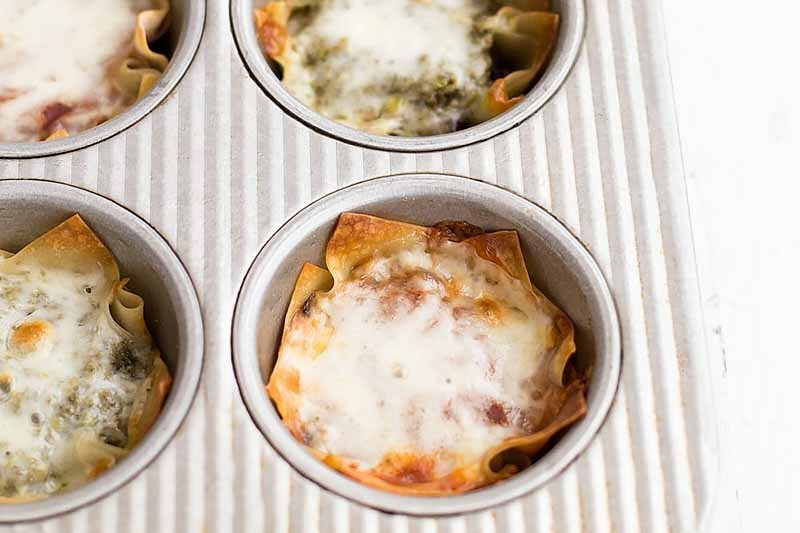 This vegetarian lasagna is filled with creamy ricotta & herbs, mushrooms, spinach, and kale. 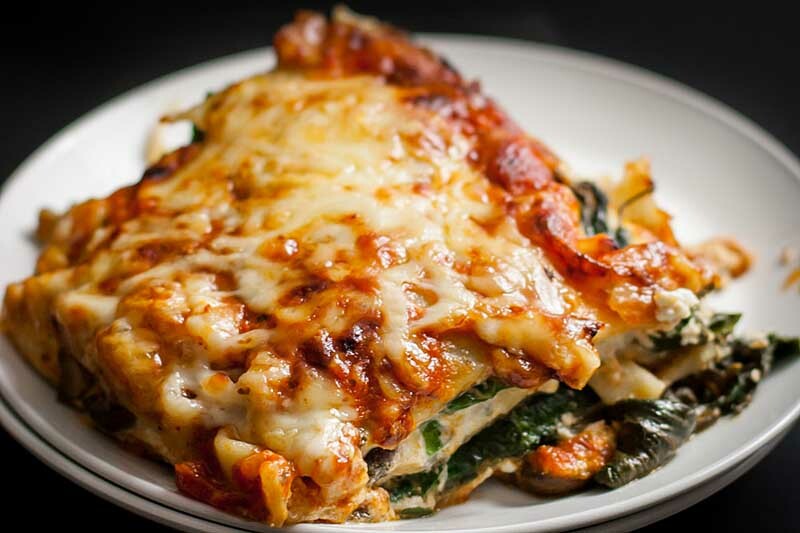 It’s then topped with Gruyère and Raclette cheeses for the ultimate melty cheese experience! Get the details now. 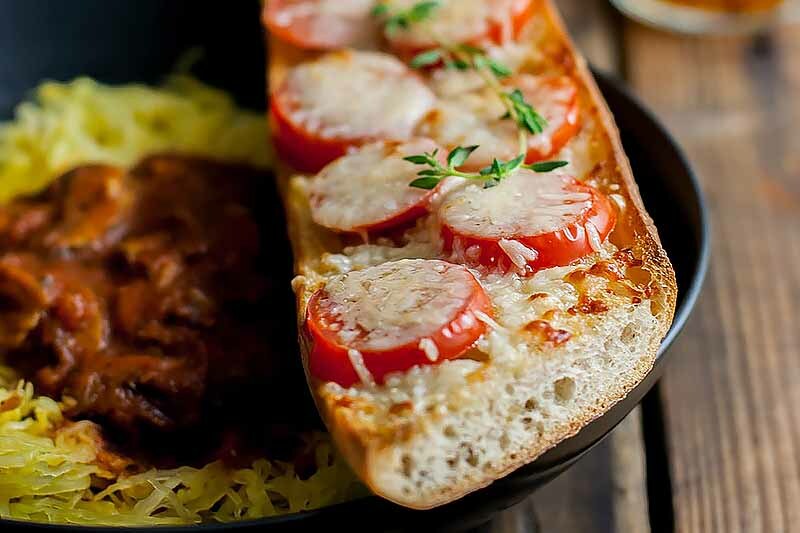 For a very veggie twist on a classic spaghetti dish with marinara sauce, we use spaghetti squash instead of pasta. And for the perfect side, we serve it a with cheesy chili oil tomato garlic bread, broiled until toasty, melty perfection. 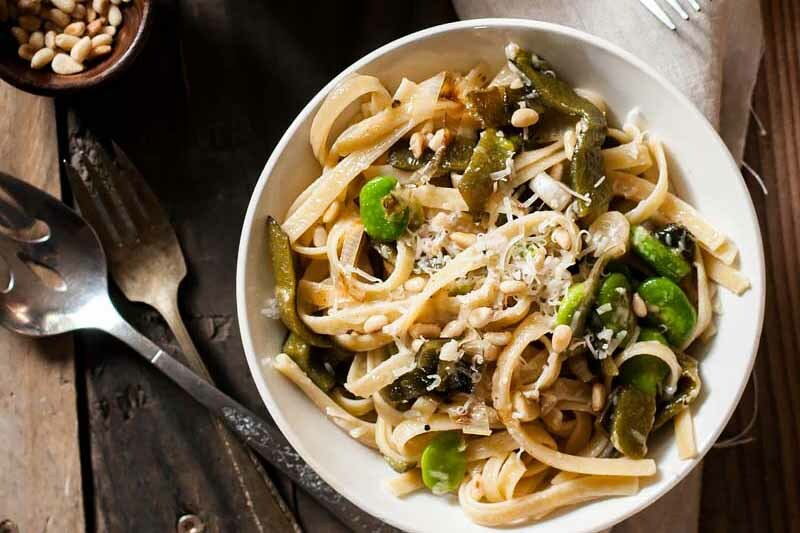 Enjoy an amazing dinner without going too carb-crazy. Get the recipe on Foodal. 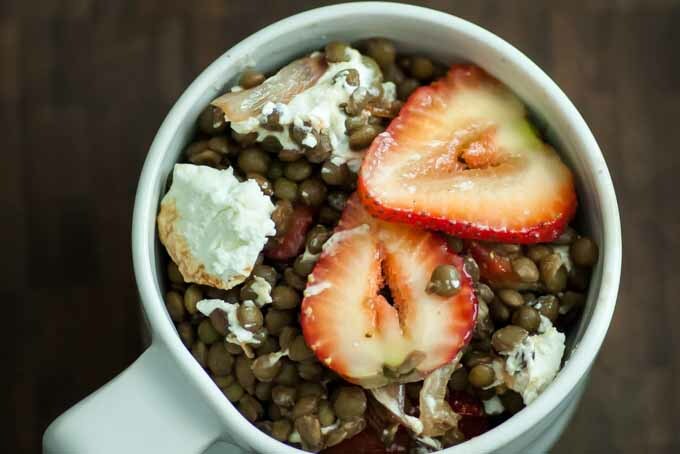 Looking for a meaty, yet vegetarian, meal you’ll love? Skip the salad, and make these hefty sandwiches instead. 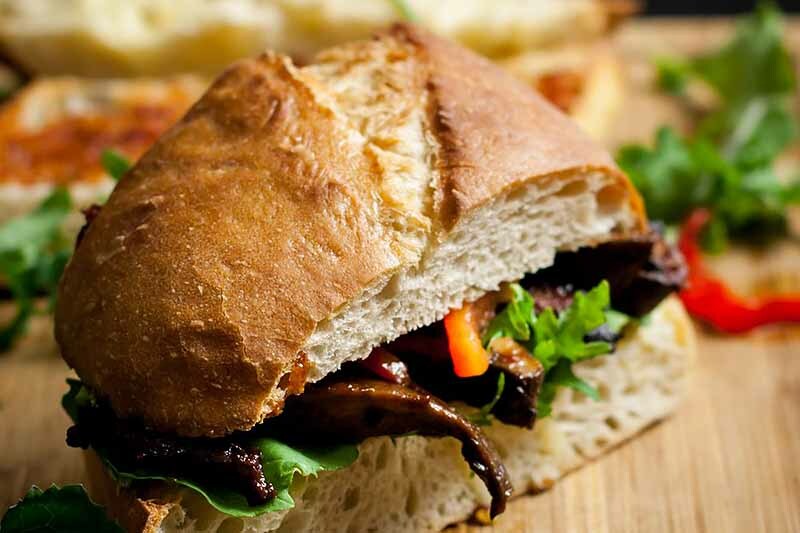 It’s a tall order: we stack portobello mushrooms in a spicy chili garlic sauce with roasted red peppers and arugula on toasty ciabatta bread smeared with Camembert cheese. Get the recipe now on Foodal. When you don’t feel like spending too much time cooking and cleaning in the kitchen, simple is better. 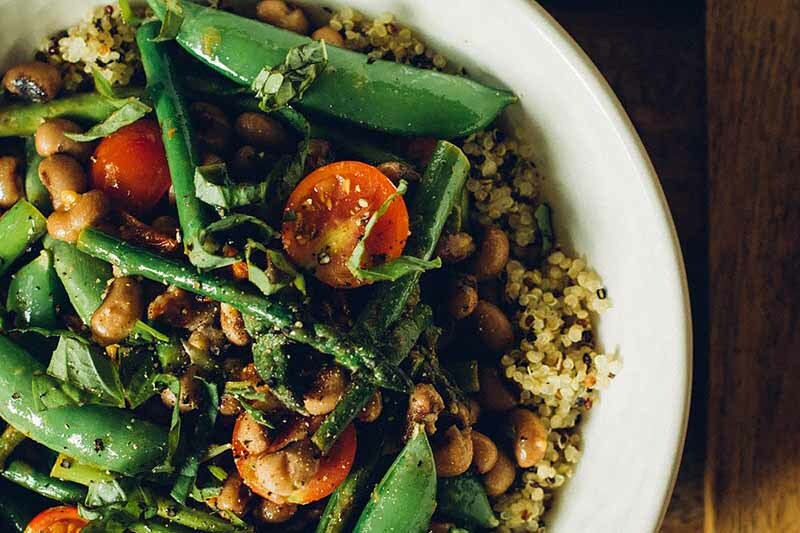 This quick salad with fresh asparagus, crunchy snow peas, and creamy black-eyed peas served over quinoa makes a tasty and healthy one-bowl meal that’s ready in under thirty minutes. Get the recipe now on Foodal. 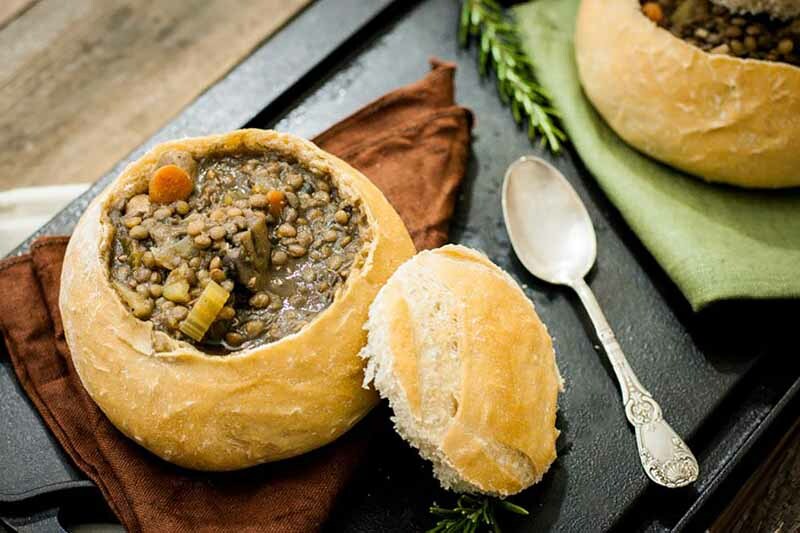 A hearty vegetarian soup with lentils, mushrooms, and potatoes, along with a slew of other vegetables and spices. Served in a sourdough bread bowl, it’s filling and delicious. 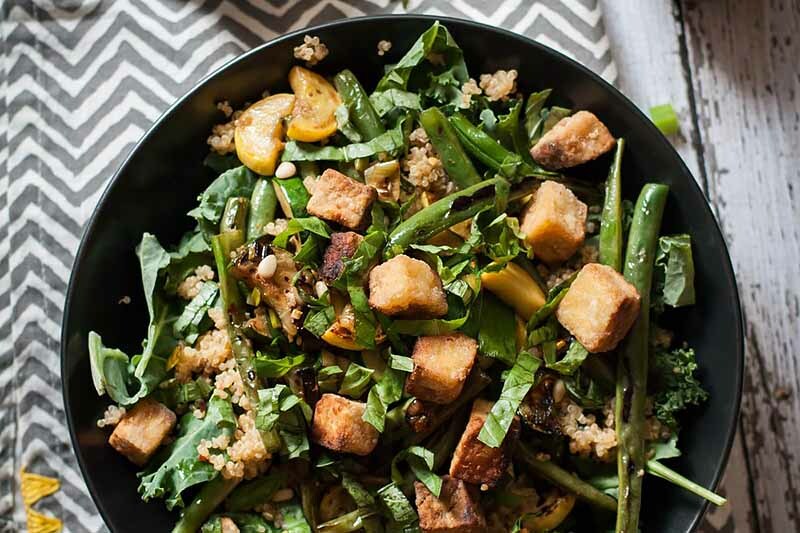 And even though it’s completely meatless, it’ll be sure to satisfy any meat lover invited to dinner. Learn how to make the recipe now on Foodal. This farro grain bowl is super quick and easy to make with delicious, simple flavors and tons of healthy add-ins. 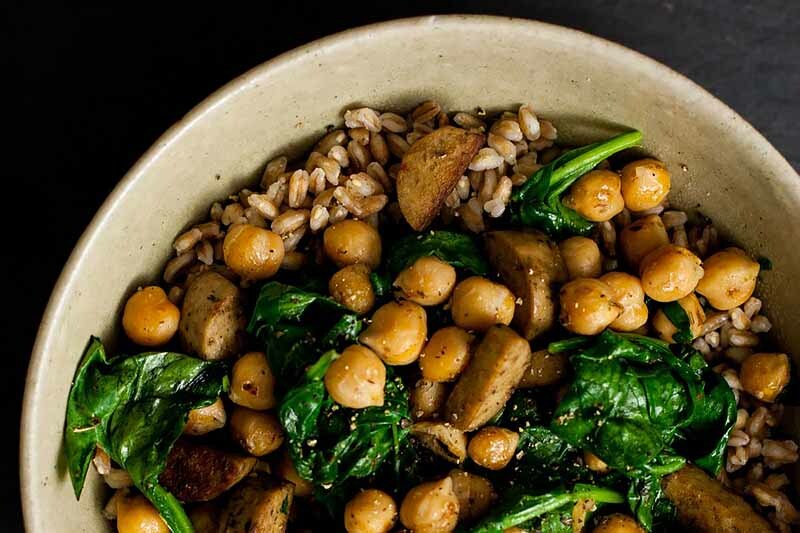 We saute vegan sausages with chickpeas, spinach, and spices, and serve it all on top of farro. Add some hot sauce and a sprinkle of nutritional yeast, and it’s perfect. Get the recipe now on Foodal. Let your party guests devour a huge plate of these loaded chili lime jackfruit nachos, a vegetarian alternative with bright, bold flavors. 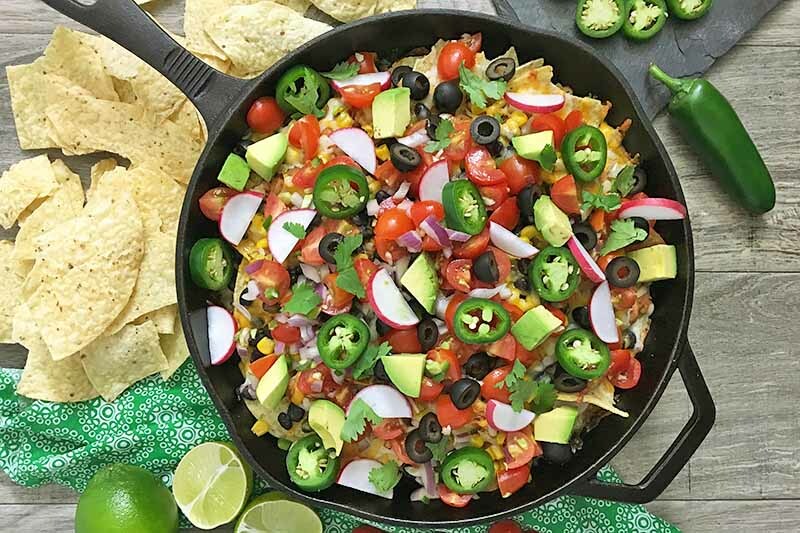 Covered with melted cheese and fresh ingredients like pico de gallo, avocado, corn, every bite is a fun party in itself. Learn how to make the recipe now on Foodal.